One of the longest-running sagas on this blog – New York’s inability to adapt its election calendar to the requirements of federal laws on military and overseas voting – just got another chapter. Voters enrolled in the two major parties will select their mayoral candidates through primary elections scheduled for September. They will also choose their horses for public advocate and controller at the same time. To win nomination, candidates for those offices must score at least 40% of the vote. If no contender breaks the barrier, the two top primary finishers will go head-to-head in a runoff election two weeks later. Then, party standard-bearers will compete in November. [T]he vote scanners cannot process three elections in the span of eight weeks, let alone two contests in two weeks. Programing, testing and certifying the 3,643 machines to be used on Election Day takes more than a week. Hapless as it is, the Board of Elections should be able to get the scanners ready for the Sept. 10 primary. But then will come the task of counting votes. The scanners can spit out instant results, but those are acceptable only when candidates are separated by wide margins. Close races require a hand count of paper ballots that can take weeks. Then comes the work of recalibrating the machines for the next election. The initial solution, as discussed on this blog numerous times, has been to move the primary earlier in order to give voters at home and abroad (as well as the Board of Elections) time to manage multiple elections. That effort has failed to date. The old lever machines are sitting in a Brooklyn warehouse, protected from dust by plastic covers. Wheel them out and run the elections just the way the city did for decades. I’m guessing it isn’t quite that simple; I have no idea in what shape the lever machines are, nor whether the Board of Elections still has the capacity to deliver the units to polling places across the City. The editorial does point out that lever machines were abandoned as a result of the Help America Vote Act, which only covers federal elections, but I’m not sure that’s enough to bring the machines out of mothballs. Still, the situation is a vivid reminder of what can happen when policymakers can’t, or won’t, address the need to update procedures in the wake of changing circumstances. The Daily News’ frustration with the City’s elections is long-running and justified, but I’m not convinced that a “once and future lever” policy is the way to go in 2013. 4 Comments on "Old Problem, Older Solution? Daily News Calls for Return of NYC Lever Machines"
I agree with the New York City Board of Elections that the two-week timeframe for a runoff election invites serious problems. This is nothing new. I first raised that issue as a party official in 1985 and have repeated it many times since then. On numerous occasions in the last few months I have told the press and elected officials that it is urgent that the Legislature address the potential problems of the runoff and that my number one recommendation is moving the primary to June (or July or early August) and holding the runoff at least a month later. Alternatively, I have been recommending that the Legislature abolish the runoff, either outright, or by using instant runoff voting. Nevertheless, we election officials also need to address the very real possibility that there will be no legislative changes. I do not at all agree that it is impractical to conduct the runoff election using the state of the art scanners purchased by New York City in 2010. On February 6, 2013, the four commissioners of the New York State Board of Elections agreed that the State Board would consult with the NYC Board to develop a feasible plan for the runoff election. This includes any modifications of the testing procedures that are necessary to deal with the special circumstances of a runoff election just two weeks after the primary. I have heard NYCBOE staff present wild mischaracterizations of the steps necessary to use the scanners for the runoff and I have heard second-hand reports of overly complicated and grossly expensive proposals of what would be necessary to use the scanners for the runoff. I liken many of these misstatements to the unnecessarily complicated procedures devised by NYCBOE for closing the polls and completing the poll site canvass reports. I, and others at the State Board have urged the NYCBOE to use much simpler procedures like those used by other election boards in the state. I have been very concerned by the exaggerated reports regarding the runoff, which is why I made a special point to have the four state elections commissioners go on record that the State Board will work with NYCBOE to develop the best possible procedures under the circumstances. The nostalgic recollections of the lever machines ignore the numerous problems that we had with those machines, both in general, and with the particular problems of setting up the runoff. Hand counting paper ballots without the scanners would raise many, many more election integrity issues than are raised by abbreviating the logic and accuracy testing procedures. I would strenuously oppose either of those alternatives to using the scanners. We have advised the Legislature of the problems in administering a runoff election just two weeks after the primary and only six weeks before the general election. But let’s not exaggerate the problems and lets develop the best strategy for conducting the runoff under the parameters set by the current law. Very well said! I totally agree that with such a short time-frame, it would seriously be a problem. Honestly, I don’t have that much knowledge about election procedures. But I think there are more possible ways you can conduct your election. I suggest you have to make a conference for all to give their ideas. Brain-storming is very much helpful in problems like that. The only thing we should all do is to cooperate for the elections to become a success. Thank you for this post. The most logical solution is to eliminate the runoff altogether. 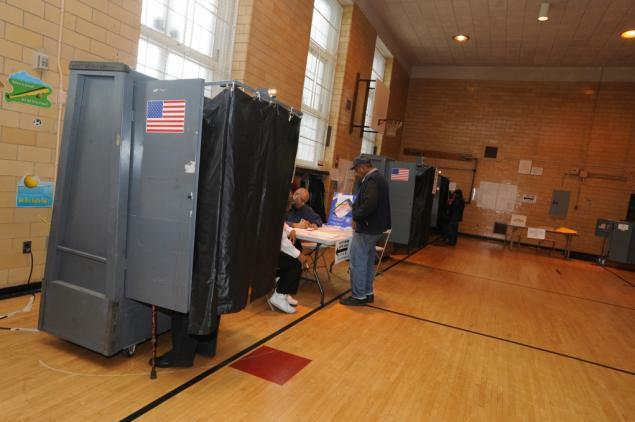 No other city in New York is required to have runoffs for primary elections. The only reason we have runoffs in NYC is because the party bosses didn’t like the nominee who eked out a victory in a crowded field in 1969. Runoffs are very expensive and few voters actually show up to vote. Get rid of them! Has anyone seen the new electronic touchscreen voting machine by VotRite?